Starting a new business can be an overwhelming task let alone thinking about the company’s brand. You know what products or services you want to sell, you have secured a location (brick and mortar or virtual) and you have come up with a “catchy” name. Now what about the brand? 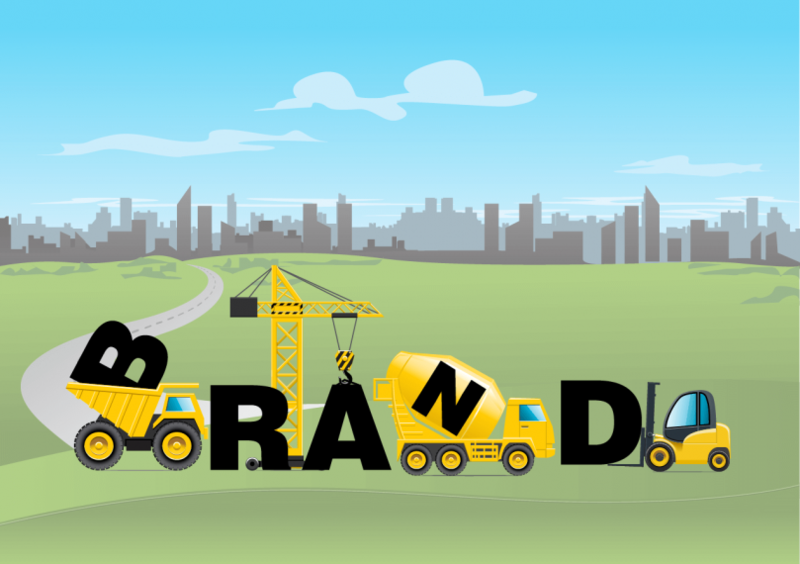 Creating a successful brand is like building a house, you need a solid foundation. It all starts with the business name. Is the name memorable? Is it legally available? What are your domain options? How will the name be displayed? All of these need to be considered before a logo is designed and a brand can develop. For a small business just starting out I recommend that the name you choose be memorable and convey what your business does. Having a short and concise name will make for a better website URL, email address and will be easier to read on print materials, plus making it easier to remember. Once you have chosen a name you will need to register it with the state. This is important. You will need to do this for tax purposes and by registering with the state you legally have the rights to the name preventing someone else from doing business with that same name – or one similar – within the registered state. Because you have a name registered with a particular state does not prevent someone else from using that name in another state. With the use of websites and social media, we also recommend registering the name as a federal trademark. We had a client register with the state of New Hampshire only to find out that a company in New Jersey with the same name had federally trademarked the business name preventing our client from using it. It was a disappointing setback for our client, but beneficial in the end because they learned the lesson and they chose a name that had not yet been used elsewhere. If you plan on having a franchise or selling branded merchandise, you should definitely trademark your business name. When choosing a business name we recommend looking at what domains are available using your possible business name. A short business name is easy to remember and will reduce the risk of people incorrectly typing the URL. Once the business name has been registered you can proceed with the logo design. Clear, impactful, and purposeful logo design will be the topic of our next post.